Your FAQ’s for Saniflo Problems can be answered here, not flushing humming buzzing smells vibrations blockages backed up jammed electrics fuses tripping float switches waste pipes intermittent starting and more. If you found our information useful please share or link to us. 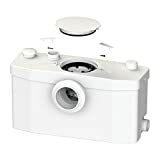 We do not reccommend you attempt Saniflo Repairs yourself without the neccessary tools as water and electric is involved, you could cause more damage to an otherwise repairable machine or worst still, flood your property when dealing with Saniflo Problems. If your Saniflo has cut out whilst it was working can be due to the thermal cut activating as too much hot water has run through and has overheated the motor. 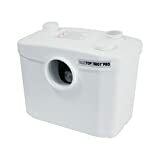 The motor will reactivate once it has cooled down, this is quite common when connected to hot water heaters, washing machines on hot washes or hot baths that are full. The result can make water leak out of the box from the air vent, do not use washing machines on hot washes of 90 degrees and turn the thermostats down on hot water heaters and finally let bathwater cool a little before emptying. The thermal cut out will activate sooner through wear and tear on an older pump. The thermal cut out will activate if the pump gets jammed too this is to prevent serious motor damage, if problem occurs turn the pump off at the wall. Empty as much water out as you can as the Saniflo has an internal or wastepipe blockage, by doing this you will prevent water leaking out of the Saniflo. There are a few factors which can cause this problem, a blockage, a damaged membrane, a missing non return valve or a broken switch, this is repairable. If it’s not blocked it’s best to change the switch and the membrane as they both control start – stop. Your Macerator has probably got a foreign object caught on the macerator blade and will make a loud noise and vibrate as it is running, this is normally repairable. It will need cleaning out by hand which can be done on site but should be De-scaled using Saniflo Descaler. There are 3 reasons why this occurs, a blown capacitor, it’s jammed or worst case scenario the motor is blown, the first two problems are repairable the last one is not. There are a couple of reasons this happens, you could have loose wires in or outside the Saniflo which is repairable or worst case scenario, the motor is worn and water is getting in to the electrics which is unrepairable. There are a few reasons for this, water is entering the box from a leaking tap, a leaking push button toilet, an overflow pipe, a damaged membrane or a faulty switch, all these problems are repairable. Its best to change the switch and the membrane together if it’s either one of them as they control the start stopping of the motor. This is because the motor is jammed, please disconnect the electric supply to the Saniflo or pull out the fuse, be careful as water and electric is involved, if you do not feel confident doing this call us immediately if the Saniflo is left jammed for to long it will be unrepairable. There are a few reasons for this problem, the membrane is damaged, the internal float switch is broken, the saniflo is blocked, the power supply has been turned off or the motor has failed, the first four are repairable the last one is not. This is because the motor has malfuntioned and the toilet has probably been flushed twice and overfilled the Saniflo box, water then leaks out of the air vent. If the toilet was not flushed then water from a washing machine or a hand basin will flood the Saniflo if it has not activated. Do not use any appliances connected to the Saniflo until it has been repaired. 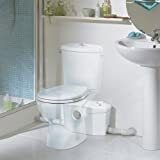 Get a bucket and a small scoop and get the water level in the toilet back down to the normal position, if the Saniflo is not connected to a toilet then you will have to use dry towels to mop up any leaking water until you get a service engineer. If cared for properly a Saniflo will last for many years, you must descale at least once a year and try to avoid putting foreign objects down the loo as they can jam the motor and at worst can burn it out. There are a few reasons for this, is the power switched on, the membrane is damaged by limescale, the internal switch is broken, the saniflo needs cleaning out under the membrane because it is preventing the machine from switching on or worst case scenario the motor is dead. The latest model of Saniflo’s are fairly quiet, they do make some noise, if you were to flush a toilet the noise of the water going down the pan would be more noisy than the Saniflo and drown out its sound. On the newer Saniflos this can be to excessive use of bleach, it shrinks the rubber outlet inside the saniflo, when it is in operation water sprays towards the airvent and leaks out of the top, this part will need to be changed. The other reason and the most probable cause is the Saniflo is jam packed full of waste and the box needs cleaning. 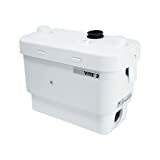 If you have just bought one of the latest modern washing machines with a large drum 9kg – 11kg, you are in the middle of your first wash and the machine starts to empty water, the Saniflo or Sanivite waste water pump kicks in, starts to pump water out, then if your macerator pump starts leaking water this is because either your pump has the wrong size pipework leading out of your water pump and is being restricted the pump then becomes overwhelmed with water and comes out wherever it can. You probably have 22mm diameter pipe, you need to get it changed to 33mm – inch and a quarter waste water pipe. if you already have that size pipe then your Saniflo needs servicing this means the box needs cleaning out and its best to install a new switch and membrane as the Saniflo is not starting quick enough to deal with the large amount of water. 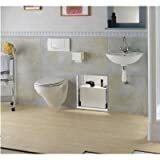 If your Saniflo Problem is not listed on this page, email us and we will post a solution.